VANCOUVER, B.C. – “Surgeons at Vancouver General Hospital will soon have the assistance of a new robot thanks to a $1 million donation from Hollyburn Properties and the Sander family. Vancouver Coastal Health plans to buy a new robot that includes a controller, console, 3D camera, and four robotical arms. One arm is responsible for moving the camera around and the others hold surgical instruments. 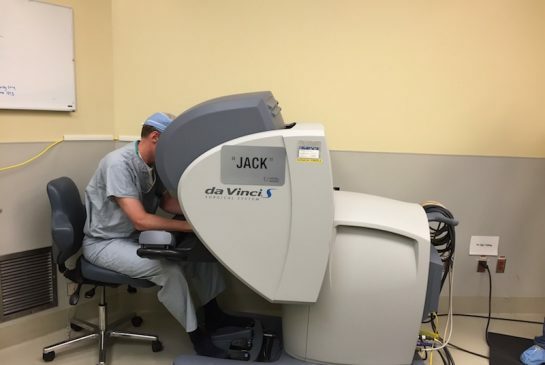 Surgeons control their use with the console, which responds to both hand and foot movement. Robotic technology in the surgery room benefits patients by minimizing the invasiveness of operations. Read the full article by Wanyi Lee in Metro Vancouver here.